Since the 1950's when LG Pathak - the founding father of the Patak's brand - began importing spices from India, curry has become synonymous with Patak's in the UK. From the humble beginnings of our first small family run shop in Drummond St, North London, Patak’s has grown into a household name used by professional chefs and home cooks worldwide. In the lead-up to National Curry Week (October 10th-16th) we wanted to better understand Britain’s love of curry so, we asked which curries you crave most. The results were tasty Tikka Masala, aromatic Rogan Josh and spicy Madras! 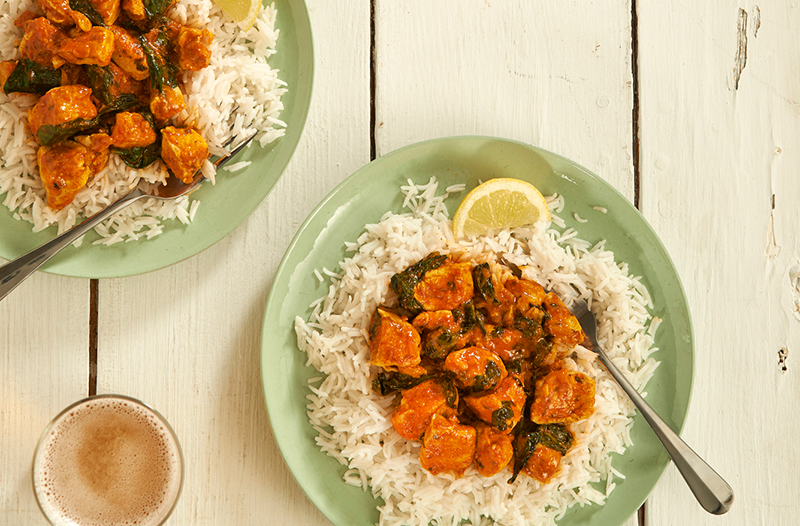 We have created three recipes using your favourite curries to help you to have a delicious and authentic Indian dinnertime experience at home; a classic Chicken Tikka Masala, a slow cooked Rogan Josh Lamb Shanks and a wholesome Harvest Madras Chicken. These dishes are easy to prepare but don’t compromise on flavour. We hope we have inspired you to celebrate National Curry Week and to discover all of the spices, flavours, colours and aromas of Indian cuisine. Succulent, flavoursome and delicious - these lamb shanks are mouthwatering. They are part of my 'Traditional Diwali Menu' and take a bit of time, but are truly worth it. I can't think of any better way to celebrate Diwali, than eating lots of food with friends and family, and these lamb shanks are sure to impress all-comers.